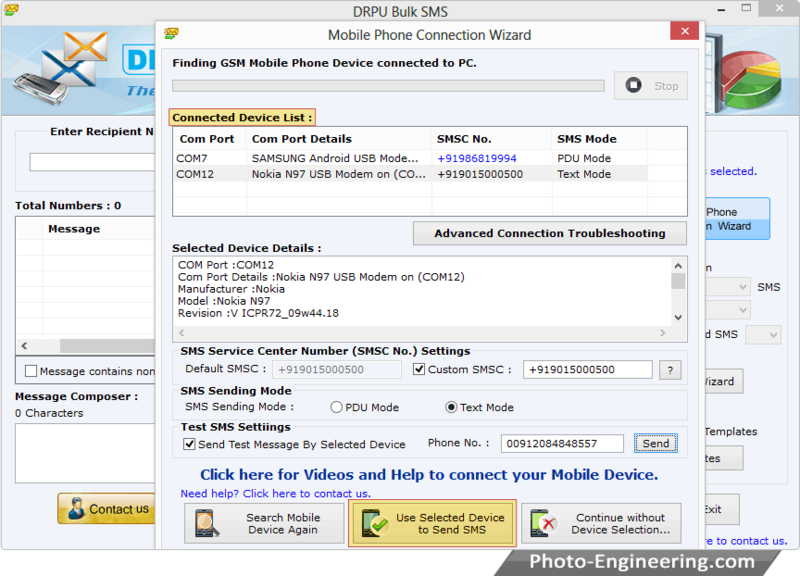 To connect mobile phone with software, click on 'Mobile Phone Connection Wizard' option. Here, You can see connected device List with selected device details is being displayed. 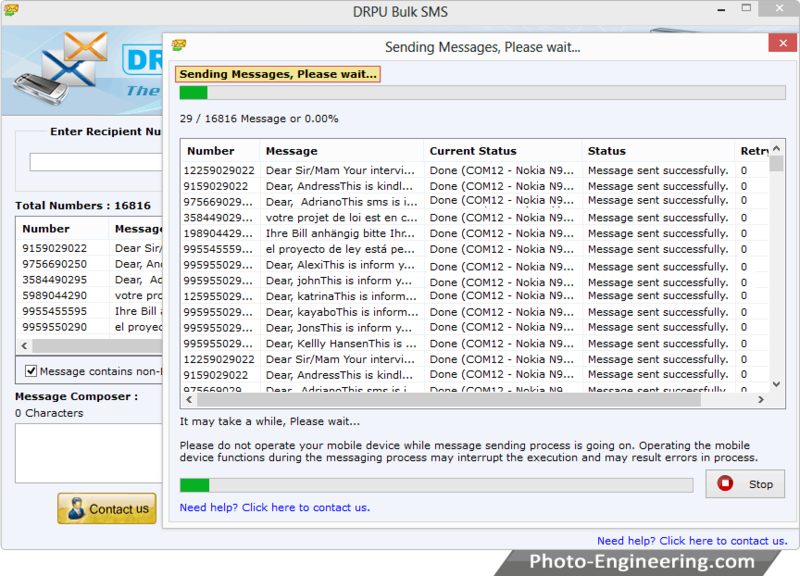 Click on ‘Use Selected device to Send SMS’ to continue. 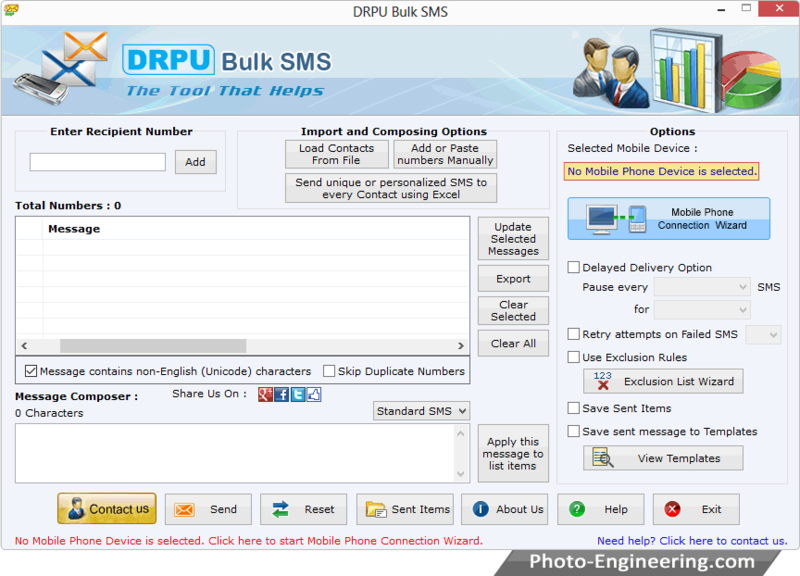 To send text messages, add recipient numbers and SMS by using Import and Composing Options. Software provides various features to send messages such as Delayed Delivery Option, Retry attempts on Failed SMS, Exclusion List Wizard, Skip Duplicate Numbers etc. Click on Send button to send bulk SMS. SMS sending process is going on. You can view the current running status of messages sending process.